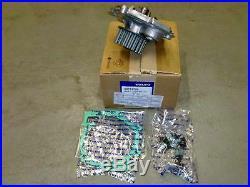 GENUINE VOLVO WATER PUMP KIT. TO FIT - S40 V40 V70 XC70 C70 XC90 S80 S60 ; PETROL ENGINES. The item "GENUINE VOLVO WATER PUMP KIT S40 V40 V70 S60 S80 XC90 PETROL / FOCUS ST 30751700" is in sale since Tuesday, October 12, 2010. This item is in the category "Vehicle Parts & Accessories\Car Parts\Other Car Parts". The seller is "caffyns-volvo" and is located in Eastbourne, East Sussex. This item can be shipped worldwide.